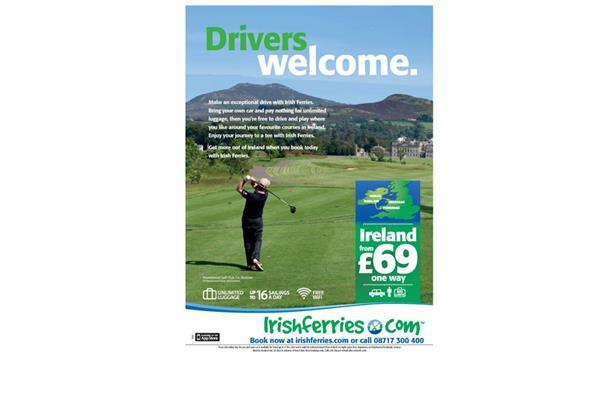 Irish Ferries is a very clever choice for golfers heading to the Emerald Isle’s sensational courses. The most obvious advantage is that it’s so easy to throw your clubs in the boot of your car. Not only do you not pay a penny extra – there are no excess baggage charges by ferry – there’s also no hassle of collecting clubs at an airport, or finding they don’t fit in a hire car boot! And Irish Ferries’ routes take you within a relatively short drive of a plethora of world-class inland and seaside courses; there are as many as 20 of Golf World’s Top 100 Irish Courses within two hours’ drive. For example, every golfing taste and budget can be catered for within a 25-mile radius of Dublin. To the north there is historic Portmarnock, one of the top 20 courses in GB&I. Next door is Portmarnock Links, a Bernhard Langer design that is impressive in every regard. The Island completes this holy trinity of links. Inland, The K Club and Carton House are Ryder Cup and European Tour venues of rare quality. Their parklands – both have two layouts of almost equal calibre – are backed up by top-class accommodation and leisure facilities. In the city itself is classy links Royal Dublin while to the south is The European, a monster links designed and owned by the charismatic Pat Ruddy. Anyone heading into the port of Rosslare is similarly blessed by the riches which await within a couple of hours’ drive (in your own car). Tusker Rock Golf Club is within a mile of the port but for some real high-calibre action you need only drive for five minutes to reach Top 100 links Rosslare GC. Move slightly up the east coast and you will find another Top 100 course, Courtown then continue on to 1927 seaside gem Arklow and the mature parkland at Woodenbridge. If you get as far as the latter you will feel you really ought to make it to the aforementioned, The European. It is less than 90 minutes from Rosslare. In 2014 Irish Ferries has three ships serving the popular Holyhead to Dublin route, which means a wider choice of sailing times. 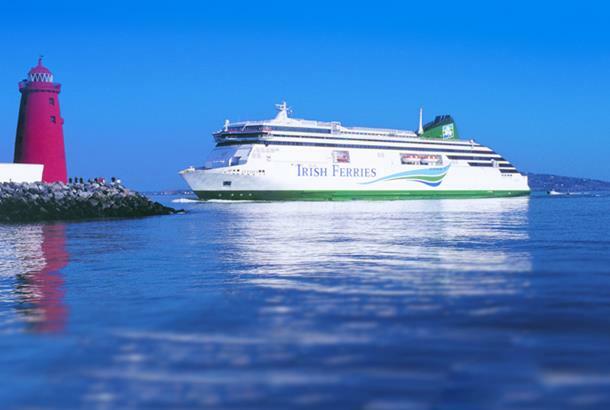 And since in Ireland all roads lead to, and from Dublin, Irish Ferries’ home port is superbly connected by fast motorway for onward travel; you can reach Galway within two-and-a-half hours. Relaxing on-board Irish Ferries is easy, with welcoming bars and restaurants, shops and entertainment plus free WiFi. A Club Class upgrade is well worth considering for the reserved seat in even more civilised surroundings, free newspapers, snacks and drinks, and priority boarding. The cruise-ferry Ulysses is a revelation: 12 decks high and weighing in at almost 51,000 tonnes, the largest ferry on the Irish Sea is more like a cruise ship. It even has an on-board cinema and cabins if you’d like to stretch out during the 3-hour 20-minute crossing to Dublin. Alternatively, the twin-hulled catamaran Dublin Swift is the fastest way to cross the Sea, covering Holyhead and Dublin in under two hours. From south Wales, the twice-daily Pembroke ferry arrives at Rosslare for easy access to the courses in County Waterford and, further west, Cork. Visit Irishferries.com for full information on routes, times and prices available.